Nutfield Church Primary School, Nutfield Church Primary School. 59 Mid Street, South Nutfield, Surrey RH1 4JJ, Bishop Ignatius Visiting This Week! Bishop Ignatius Visiting This Week! Home → Latest News → Nutfield News → Worship News → Bishop Ignatius Visiting This Week! This Thursday, we welcome Bishop Ignatius from the Diocese of Central Zimbabwe. This diocese covers roughly 30,000 square miles – about the size of Scotland, so we are very honoured that the bishop is able to find the time to join us next Thursday morning! 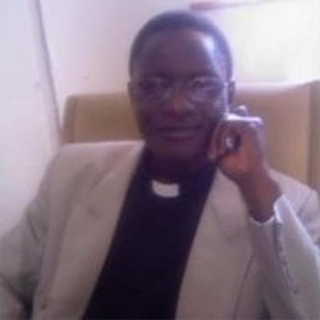 The Diocese of Central Zimbabwe is linked with the Diocese of Southwark. During our annual Lent Appeal, we join with schools and churches across Southwark in raising money to support a range of projects in Zimbabwe – to improve education, medical care and sanitation and to develop income-generating projects for local people. Later in the year, Year 4 will be carrying out some specific work in their R.E lessons around the Lent Appeal and they will be travelling up to London to present the money we have raised at a special service with our diocesan schools at Southwark Cathedral.